Why Won’t Your Furnace Turn On? There is nothing worse than running into a problem with your furnace during the cold winter months. One of the most frustrating situations is finding that your furnace won’t turn on. If this happens, you need to take immediate action. While these are basic steps, you’ll want to do all three before calling a professional. You may come to find that you can fix the problem on your own, such as by adjusting your thermostat or simply turning on your unit. If your furnace still won’t turn on, don’t wait another minute to contact a professional. We’re more than happy to take your call, answer your questions, and visit your home immediately. From there, we can diagnose the problem and ensure that your furnace is once again working as it should. 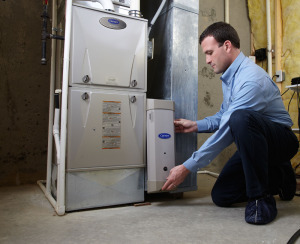 Buying a new furnace is easier said than done. The same holds true for the installation process. With all this in mind, you’ll want to consult with a professional before doing anything. How large should the furnace be? Bigger is not always better, so make sure you ask this question. How is efficiency measured? 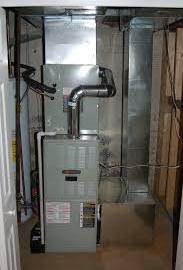 You want to purchase an energy efficient furnace, as it will save you money over the long run. Is there ever a good time to purchase a used furnace? Believe it or not, this is something that many people consider. Is there more than one type of furnace to choose from? The short answer is yes. You’ll want to discuss your many options with an HVAC professional. Are there any furnace accessories that make sense for your new unit and home? While these are among the most important questions, many others may come to mind. If you need answers in the immediate future, don’t hesitate to contact us. Do you have reason to believe that it’s time to replace your old furnace? Are you wondering if now is the time to take action? If so, you need to learn more about your current heating system as well as the many replacement options. · Age. Let’s face it: a heating system does not last forever. So, if your furnace is 15+ years old, it’s time to consider a replacement. It may be difficult to make this decision, but a new unit will provide you with more efficient service. · High repair costs. There is no denying the fact that there are times when it makes sense to repair a furnace, such as if your unit is relatively new. However, if you have an old unit in need of repair, it’s probably more cost effective to replace it. · Flooded basement. Unfortunately, many people come to find that their furnace is damaged beyond repair as the result of water in their basement. If too much water enters your unit, internal components can be permanently damaged. So, there you have it. You may not look forward to replacing your furnace, but there are times when this is the best decision you can make. If you have questions about your furnace, if you have reason to believe that now’s the time for a new unit, don’t hesitate to contact us. We can visit your home, inspect your furnace, and help you decide what to do next. When it comes to maintaining your furnace, there are many things you can do to keep it in good working condition. · To extend the life of your HVAC system. Do you really want to replace your furnace before you have to? Of course not. Changing your filter can help protect against this. · Save on energy costs. Believe it or not, a new filter can go a long way in bringing down the cost of heating and cooling your home. · Better air quality. There is nothing worse than the thought of poor indoor air quality. Changing your furnace filter can help protect against this. · Keep it clean. As you can imagine, a dirty filter has a way of clogging your HVAC system and increasing the likelihood of costly repairs. · It’s easy to do. It only takes a couple seconds to change your furnace filter, so there’s no excuse for putting this off. When was the last time you changed your furnace filter? If you can’t remember, it may be time for a change. If you need any assistance with your HVAC system, even if it’s as simple as swapping out a filter, be sure to get in touch with us. We are more than happy to provide you with the help you need!